PINP About Australian Fur Seals - Which seal is that? All seals are covered in fur or hair, and have flippers. All the seals that breed in Australia have outside parts to their ears, called ear flaps or pinnae, seals that have pinnae are called eared seals. 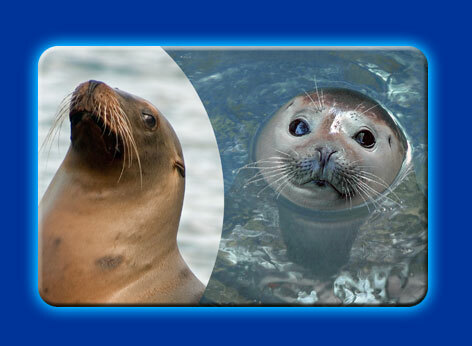 All fur seals and sea lions are eared seals. Other seals do not have ear flaps, they are called true seals. For you to be able to tell the different species of seals apart, you need to look at their size, where they live, their colour, and how they move in water and on land. Some seals also have distinct markings on their fur.